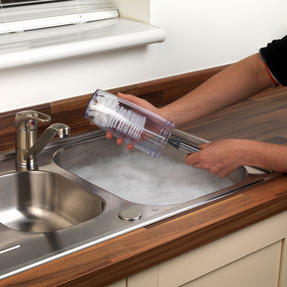 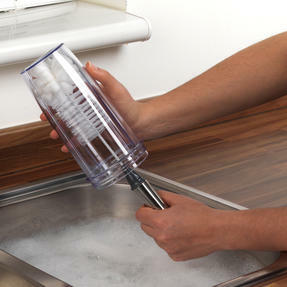 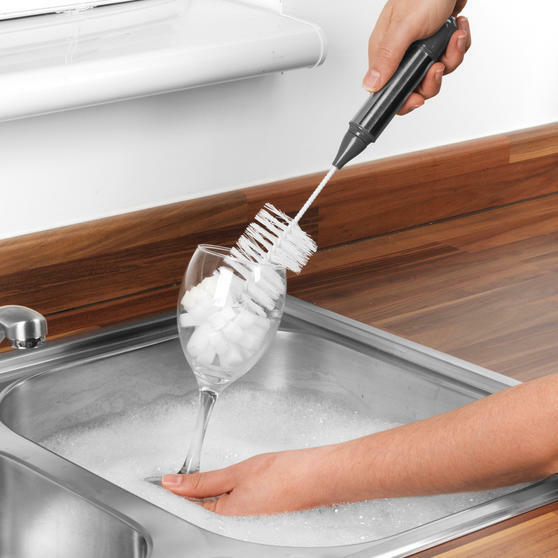 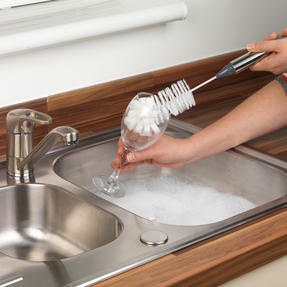 Make light work of removing tough stains from bottles, cups, narrow containers and glassware with the Bottle Brush from Beldray. Measuring 35l x 7w x 7h cm, this brush is shaped to reach narrow areas, delivering a thorough clean right to the base of the container. Featuring a durable bristle head, this brush is perfect for removing limescale, hot drink stains and more without scratching the item. 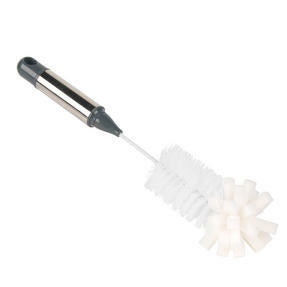 Designed to last, this bottle brush is constructed from durable materials and finished with a stainless steel handle for comfort. The perfect addition to household cleaning accessory sets, this bottle brush comes complete with a comprehensive 1 year guarantee.